Company History - RJ Hicks, Inc. In 1947, two brothers, Richard and Leonard Hicks, began the company R.J. Hicks. 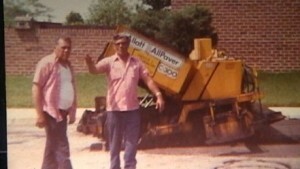 With only a small dump truck and a hand roller for compaction they set out on a mission to further establish the business. Their goal was to provide quality work that not only met the needs of their customers but exceeded their expectations. The brothers were raised with core values of honesty and respect. These values became the foundation on which R.J. Hicks was built. The business thrived and grew and a solid reputation was established which made R.J. Hicks a top competitor in the industry of asphalt paving. Although Richard and Leonard displayed dedication to the company’s growth, they were both very family oriented men. Both men were happily married and each had a son and daughter. 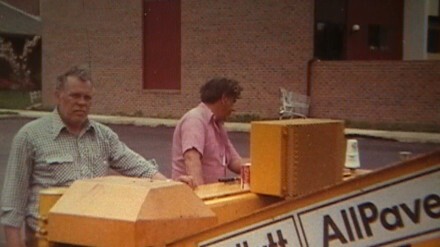 Richards son, Art and Leonard’s son, Lenny began working side by side with their fathers in their teen years. Richard and Leonard passed on all the knowledge and skill of the trade to their sons. As the business continued to grow, Art and Lenny became their fathers successors and primary owners of R.J. Hicks. The foundation of honesty and respect on which the company was established is still the driving force today. Art and Lenny pride themselves on being able to follow in their fathers footsteps and continue to provide quality work for every customer.